Qantas Airways Ltd. could potentially more than quadruple its fleet of Boeing Co. Dreamliners as long as the first few aircraft generate a profit, Chief Executive Officer Alan Joyce said. Australia’s largest carrier is due to receive the first of its eight Dreamliners at the end of 2017, and has options and purchase rights to buy another 45 of the long-range, fuel-efficient aircraft. “I’d like to order all of them if I can make a good return out of them,’’ Joyce said in an interview with Bloomberg Television Wednesday. “This aircraft’s technology is going to change the game for Qantas.’’ The Sydney-based airline’s Jetstar subsidiary already operates 11 787s. 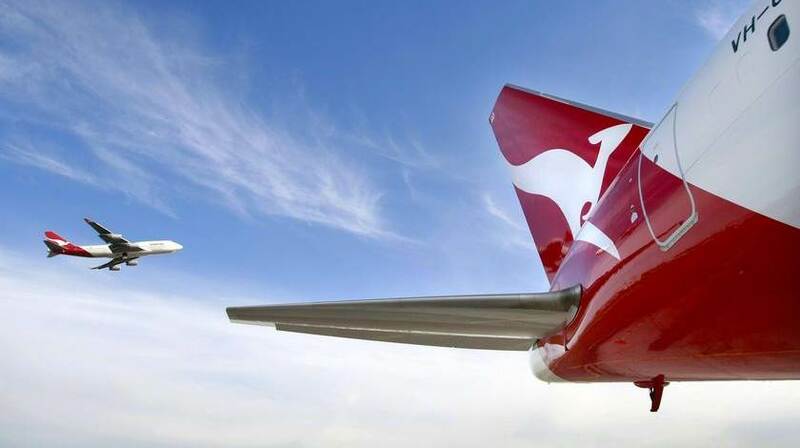 Getting new planes will enable more ultra-long non-stop flights to London and Dallas from Australian cities as Joyce, 50, turns around Qantas — known locally as the Flying Kangaroo. On Wednesday, the carrier reported record profits and announced its first dividend in seven years, helped by the Irishman’s restructuring moves such as retiring old planes and deferring orders for eight A380 superjumbos from Airbus Group SE. Qantas shares jumped as much as 5.3 percent in Sydney to their highest intraday level in more than four months after the carrier reported an 84 percent jump in annual net income. Joyce has reversed losses after cutting thousands of jobs and dropping unprofitable routes as part of a A$2 billion ($1.5 billion) transformation program. The airline is working on the first destination for its 787 and will announce the route at the end of this year. Options include Melbourne-Dallas, Perth-London and Brisbane-Dallas, Joyce said in the interview. Qantas uses the A380 to fly to Dallas from Sydney, a 16-hour journey that is one of the world’s longest commercial flights. The Dreamliner will allow Qantas to bypass many of the traditional airline hubs, Joyce said. Joyce emphasized the importance of making money with the aircraft on an earlier call with reporters. With Joyce seeking more 787s, the airline’s fractured relationship with the A380 superjumbo doesn’t look like mending. Joyce reiterated in the interview that Qantas doesn’t need the remaining eight A380s on order. Qantas operates its 12 A380s on routes like Sydney or Melbourne to London via Dubai, and to Hong Kong, Dallas and Los Angeles.